means 'upright' or 'vertical'. It also may mean 'mounted', as on a horse. 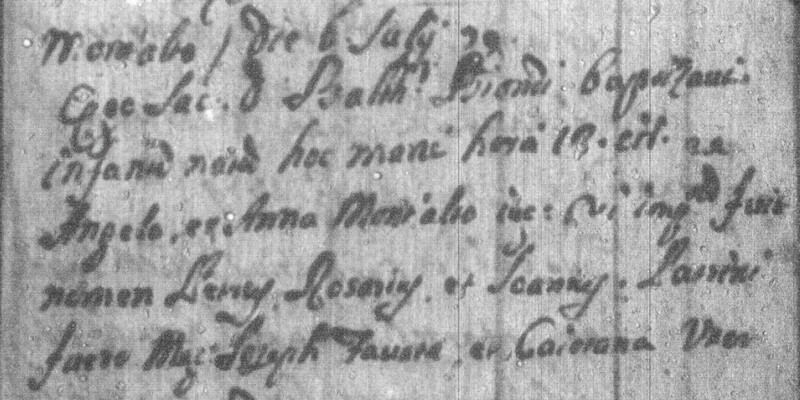 I have not found any records of baptism, marriage or death for my great-great-great-grandfather Angelo Mont'alto, but I know his name from baptism, marriage, and death records of his offspring, including Pietro, whese baptism record is shown below. His death was before the 1824 marriage of his daughter Giuseppa Montalto. Gaetano Filippo Montalto: 27 Mar 1760 - ?